Known as one of the coldest capital cities in the world, Ottawa is accustomed to freezing temperatures of minus 15 to minus 20 degrees Celsius in January. The seat of the Canadian government takes pride in its annual Winterlude festival, set around the Rideau Canal near the federal Parliament buildings. The Rideau Canal, touted as the world’s longest skating rink, usually sees hundreds of people lace up their skates and brave the extreme cold during any given weekend in January. But not this year. At almost 10 degrees, there is not a patch of ice in the canal. Hikers and cyclists take in the scene, a runner passes by in shorts. Some people are sitting on benches overlooking the waterway. The barges that normally serve as places for skate rentals are afloat in the water and boarded up; steps leading down to the canal from the embankment are blocked. 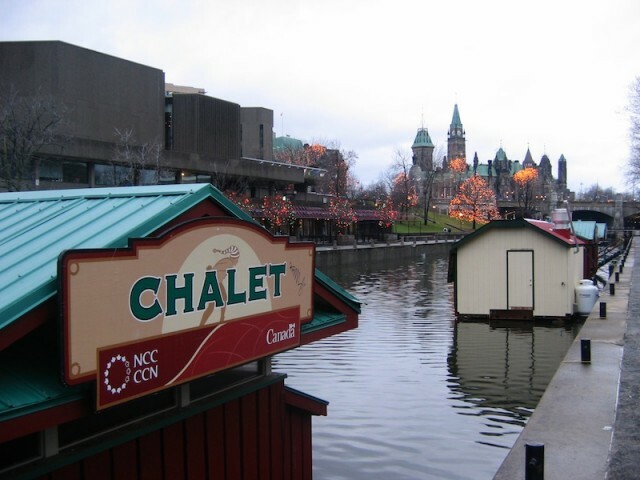 Organizers have mused that the Rideau Canal might not open for skating this winter. That would be unprecedented. The barges for skate rentals on Ottawa’s Rideau Canal are deserted. His partner, Jane Davidge, is out without a hat. Both stop and stand around for a while to talk about the weather – something that under normal conditions would quickly cause a person to cool down, especially their head and limbs. That is true for almost all of Canada. For most people in the ‘Great White North’, who undergo harsh winters as an annual ritual, this year’s winter has yet to get underway. In major cities like Toronto and Montreal, it feels more like spring. Even the Canadian Arctic has seen relatively mild temperatures since the beginning of December. Winters in Canada, which is normally the second-coldest country in the world after Russia, have become gradually milder in recent decades, Phillips says. Average winter temperatures across the country have risen by more than two degrees over the last 60 years – a remarkable increase compared with worldwide warming, which amounts to about 0.7 degrees over 120 years. This year’s persistent mild weather has prompted a large number of Canadians to take climate change more seriously. Whether the current warm temperatures are caused by global warming or not, the talk has changed from the usual ‘Cold out, eh?’ – the typical Canadian winter greeting – to the question what Canada can do to help fight the emission of greenhouse gases that cause warming. Last week, an opinion poll showed that the environment, which was largely ignored during last year’s election campaign, now is a top priority for 20 per cent of the electorate – more than any other issue, including health care and the military mission in Afghanistan. 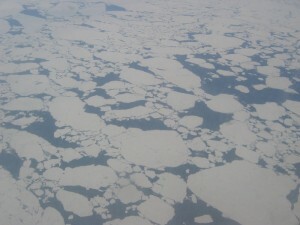 Ice floes in Nunavut. The Canadian Arctic is warming up. This change in the political climate is inconvenient for Prime Minister Stephen Harper. His Conservative minority government has neglected the environment in the eyes of voters. Although Canada has ratified the Kyoto Protocol to reduce greenhouse gas emissions, the Conservatives have stated that they consider its goals unattainable. A ‘Clean Air Act’ launched last summer was widely viewed as a half-hearted attempt to divert attention away from Kyoto. The hostile attitude of the Harper government towards the environment has rubbed many Canadians the wrong way, says John Bennett of the Climate Action Network Canada in Ottawa. Moreover, Harper is facing new political opponents with credibility on the environment. Elizabeth May, a popular green activist, has become leader of the Green Party of Canada. Although that party is not represented in Parliament, May surprised many by finishing in second place in a November by-election in an electoral district in Ontario. And the Liberal Party of Canada, which forms the official opposition, has chosen Stéphane Dion, a former Environment Minister, as its leader. Dion campaigned for the leadership on a green platform, and he wants to focus on the theme when he runs against Harper in the next election, expected later this year. At the Rideau Canal, people are skeptical. “I doubt that Harper has really changed his view, or if he’s just saying that because it is becoming an important election issue,” says Serge Sylvestre, another hiker at the canal. 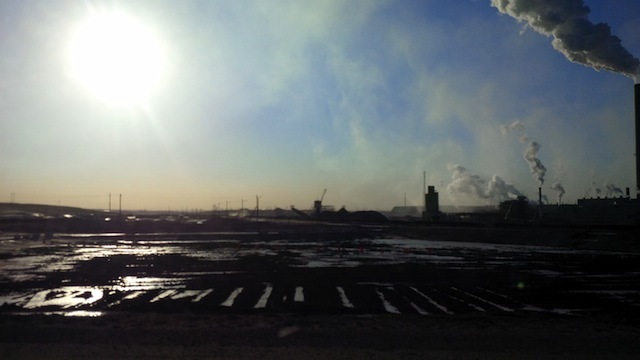 Producers in the Alberta oil sands are among the largest emitters of greenhouse gases in Canada. Canada’s emissions growing faster than in U.S.
Canada, a country with 10 per cent of the world’s fresh water, 7 per cent of the world’s land and 14 per cent of the world’s energy reserves, must take responsibility as a good steward of the Earth. That’s the view of Stéphane Dion, leader of the opposition in Canada’s Parliament and a former Minister of the Environment. “Canada should provide leadership on environmental issues,” says Dion, who was chosen as leader of the opposition Liberals in December. Canada is not doing that. As a large country with big heating and transportation needs, Canada is a relatively large polluter. Since 1990, Canada’s greenhouse gas emissions have increased by about 25 per cent – a much larger increase than the 13 to 14 per cent in the United States. The difference is mainly due to the boom in the Alberta oil sands, a very energy-intensive form of oil production. Canada is responsible for about 3 per cent of global greenhouse gas emissions. Under the previous Liberal government of former Prime Minister Jean Chrétien, Canada ratified the Kyoto Protocol – but did not follow up with concrete steps to reduce emissions. The current Conservative government of Prime Minister Stephen Harper has not formally terminated Canadian participation in the treaty, but it has stated that it considers the target (a reduction of emissions by 6 per cent from 1990 levels by 2012) not attainable.